Teefa in Trouble is riding high on its unprecedented success at the local and international box office, having climbed to a collection of over 22 crores in two weeks. Not only has the risk of having released at random in the dead of summer with no Eid holidays paid its dividends to the film, but surely this must also be the harbinger for change for the entire industry at large. Producers and distrusters all intent on Eid releases, can now certainly start eyeing a slew of other dates instead of cannibalising each other’s films at the box office which surely is to the detriment of the growth of the film industry. Teefa in Trouble’ success, however, is also a fascinating case study as it marks the return of the original hero to the film industry in Pakistan. This is a film very firmly placed on the shoulders of Ali Zafar, AKA Teefa; while the ensemble cast is impressive and delivers 101 per cent, Rahim’s magnum opus is central to the character of Teefa. And does he deliver? By all accounts, yes. And he does so with a multi-dimensional role all packed in one character: Teefa the romantic; Teefa the rough street thug; Teefa the aspiring restraunteer; Teefa with a moral conscience; Teefa without a conscience and so and so forth. The scene of Teefa vs Teefa in the actual film is possibly the best visual representation of what this scribe is suggesting. That Rahim built his movie around a central hero and of course his longtime collaborator Ali Zafar is an exciting new dawn for Pakistani films. Many films released to date or yet to release, are multi starrers and rely on the strength of all-star casts to build the movie and to draw in audiences. However, the success of Teefa in Trouble makes very clear that with the right hero, script and director one can build and watch a movie on one main character and smash all records in the process. 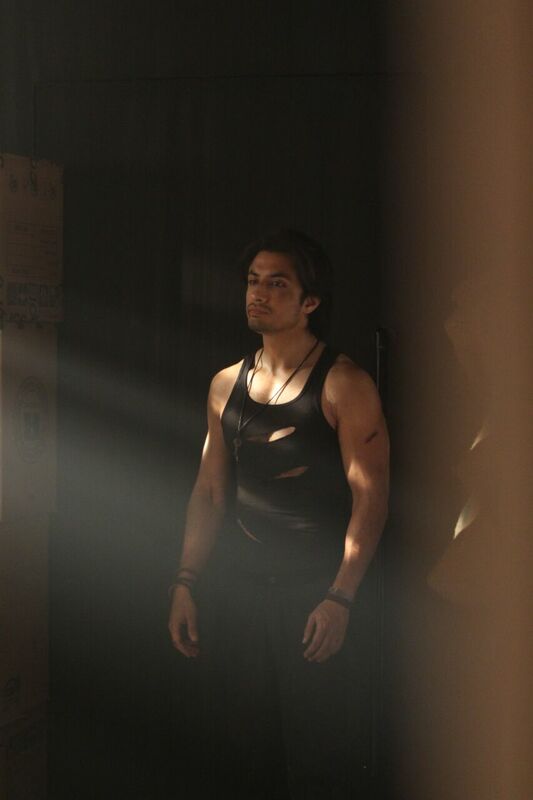 Of course, it helps that the hero in question is Ali Zafar who encapsulates a multi-faceted role as an artist: the painter, the producer, the composer, the singer, the songwriter, the actor. He brought almost all of his artistic attributes to the film itself having delivered a knock out the soundtrack with Item Number, Sajna Door, Chan Ve and Ishq Nachauda. Here is to Teefa and Ali Zafar who have ushered in the new era of the original film hero.